England is the mother country and the home of football. Football is therefore a big thing in England. Majority of men are regularly playing football with friends or in amateur clubs. And most of them like watching the football, too. The Premier League is one of the most reputable leagues in the world. Thus, it was no question whether I would want to watch a football game while living here. When living in north London and even in Highbury, Arsenal would be a natural choice for a football match. But Premier League Tickets are rare and hard to get. If you aren’t club member, you have almost no chance of getting one. In addition, it is bloody expensive. This is why colleagues recommended to go for the championship, the second league of English football. But which team to choose if you are not an expert in English clubs? 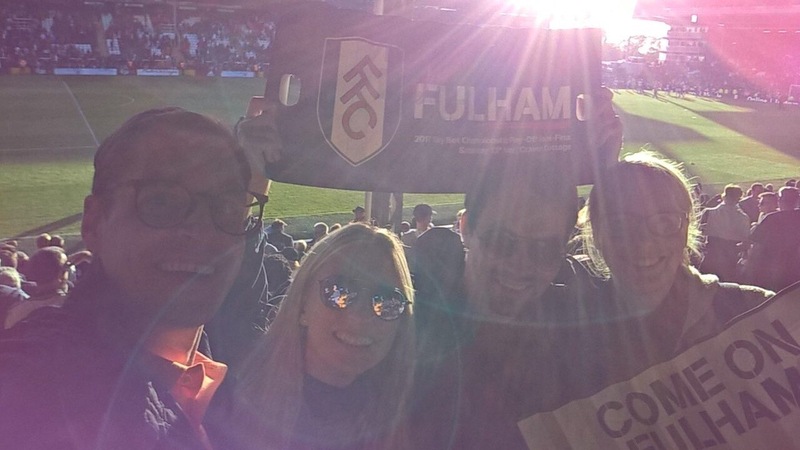 I was pragmatic and went with the only one known to me (but also recommended by colleagues): Fulham FC. Fulham is the oldest club in London who has ever played in the Premiere league being founded in 1879. The biggest success was reaching the Euro League final in 2010. At the moment, the team is playing in the championship. But that doesn’t matter considering the club has a tradition, has a decent sized stadium (with 40,000 seats) and – as far as I can judge so far – has a sympathetic fan base with a lot of families among them. It is said that Hugh Grant and Daniel Redcliff are also Fulham supporters. This season, Fulham managed to just reach the playoffs for the promotion to the Premiere League. The first game of the play-offs was on Saturday, 13th May at home against Reading. We managed to get tickets in the Haynes Stand close to the Craven Cottage. 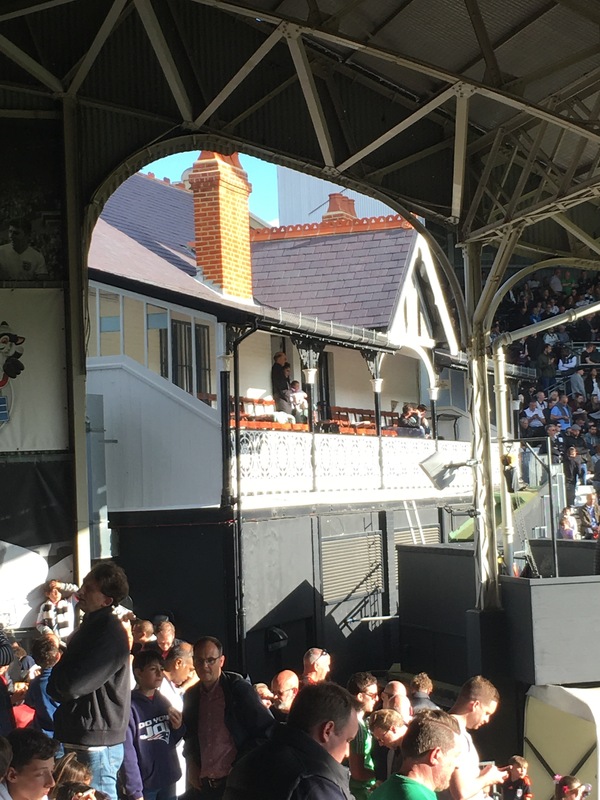 The Craven Cottage is a former hunting lodge which has been integrated in the stadium and now serves as hospitality zone, i.e. you will find the more expensive seats there with catering, etc. It’s been a great game. Fulham was fighting but did not manage to get the lead. They even went behind by one goal. The referee’s decisions were by far not supporting Fulham. But they kept fighting and achieved a goal. With just 10 to 15 minutes to go, one Reading player was sent off. Unfortunately, Fulham was not able to use the this circumstance. The game ended 1:1. ​With this result, everything is still possible and we are hoping for the second leg at reading in Tuesday. Keep fingers crossed!